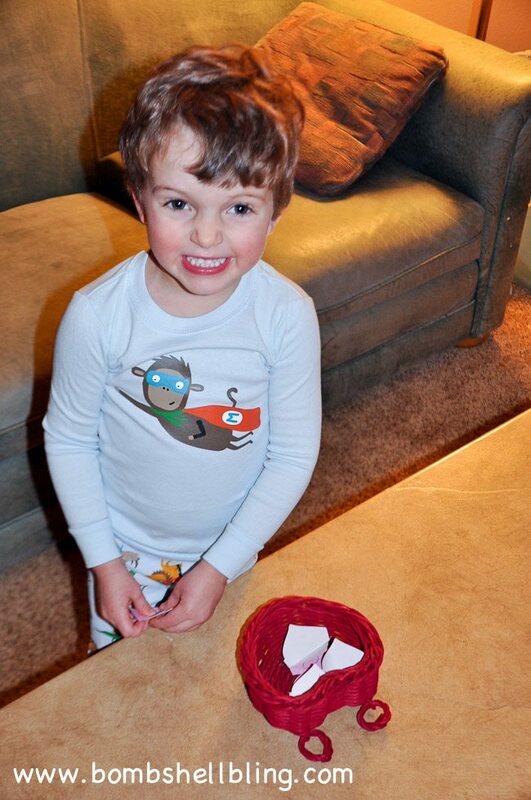 Family Tradition for Valentine's Day: Secret Cupids! Secret Cupids is a beloved family tradition that we do each February leading up to Valentine’s Day. You are going to love it! I love Valentine’s Day, guys. Like, LOVE it. Yes, I love my kind and jolly man and I love that he (usually) remembers to get me flowers that day. 😉 But, to me, Valentine’s Day is really not about that. In my mind Valentine’s Day is a family affair, just like all other holidays. And the reason for that is my mom. My mom made each and every holiday such a joyous celebration. She made up family traditions and always had a ball with us doing them, even during the years when she was suffering from breast cancer. She was simply the BEST. I have written before about her Christmas ornament traditions, and last year I shared one of her Valentine’s Day traditions: Heart Attacks! Both are simple to execute, but very meaningful. My sweet mama, Sally Westover, passed away ten years ago, which was far too young, but my sisters and I have carried on her traditions in an effort to remember her. Today I am sharing with you my very favorite Sally Westover family tradition: SECRET CUPIDS! I can’t wait to tell you all about this tradition. I will be illustrating it for you with some super classy, very unprofessional pictures and handwritten notes from a past year. This is how we have always done it. 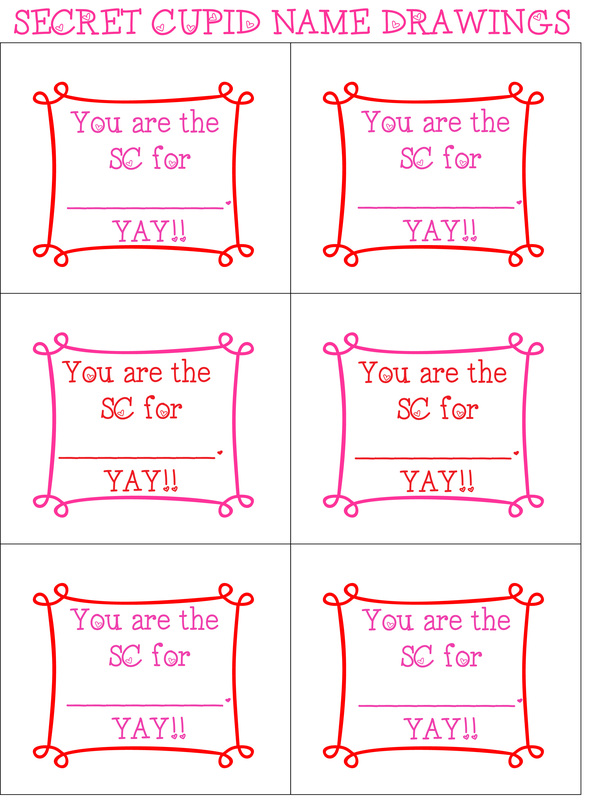 For the purposes of this post, I decided to make cute printables that you could print out and use for your family, but they are really just a little cutesy icing on the cake. 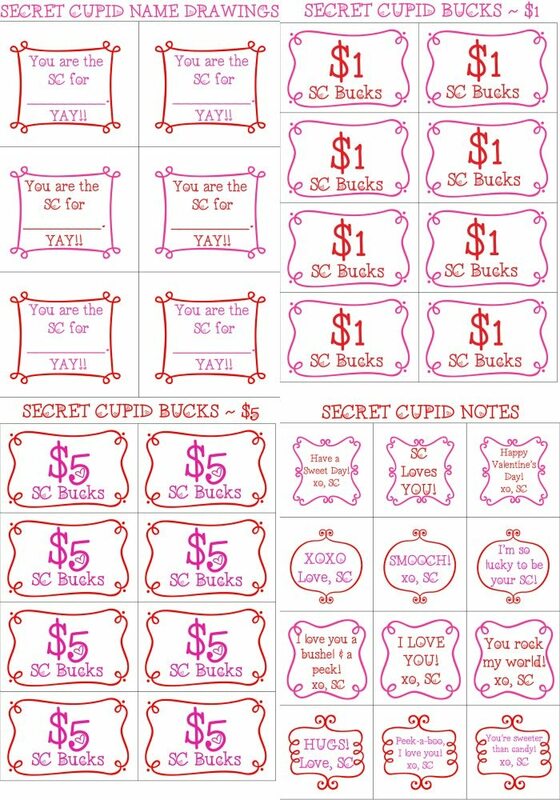 I have been an active Secret Cupid each February for about 20 years or so, and this will be the first year I use cutesy printables. They are fun, but not necessary. This is a very low-stress family tradition, which is part of the reason that I love it. It does take a bit of planning on Mom (or Dad’s!) part to get the “SC Store” ready, but all you really have to do is hit up the dollar store and then lay things out in your room. Let’s look closer. This tradition starts one week prior to Valentine’s Day. Start by writing down each name of your family members. 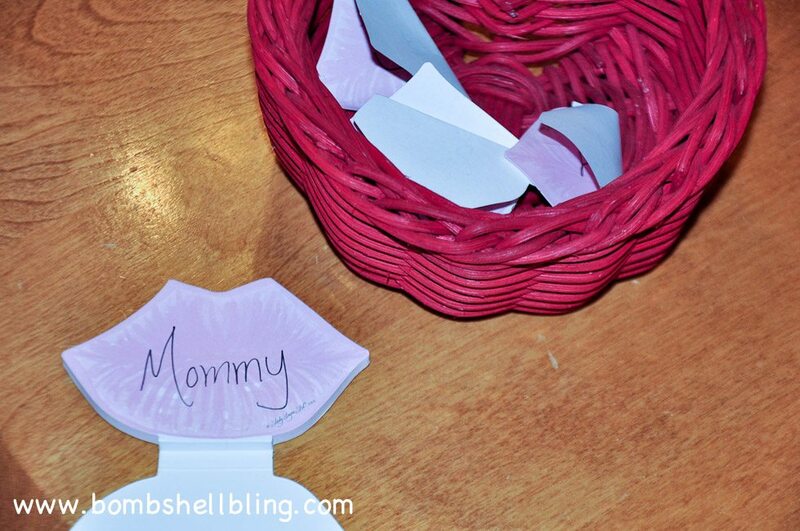 You can use some rad kiss post-it marks like the ones that I found in my little sister’s old dresser (we live with my widower dad in my childhood some—saving some dough) or you can use the cutesy printables that I share at the bottom of this post. Last year was the first time that this little cutie really understood what we were doing with this tradition. He was pretty pumped! 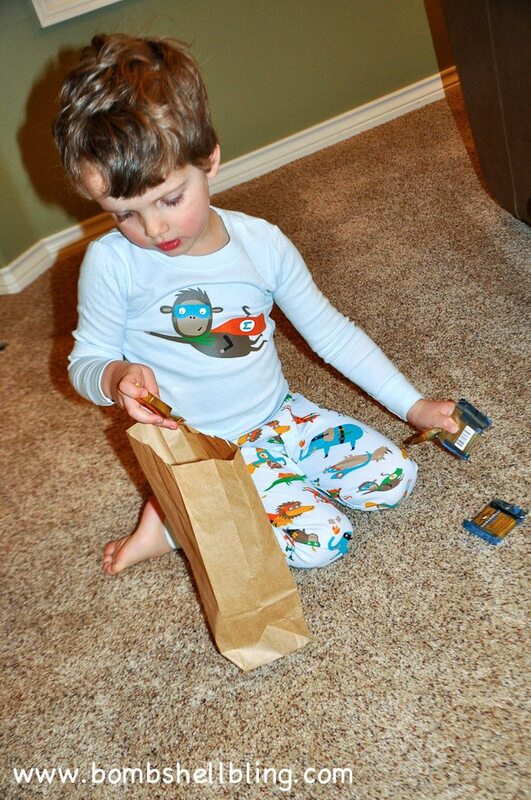 Next give everyone a brown paper bag and some fake money to use to “shop” in the “SC Store.” Since my son was so little I decided to just lay things on the floor in rows and write down how many of each he could take (and obviously I went “shopping” with him and told him what to take). 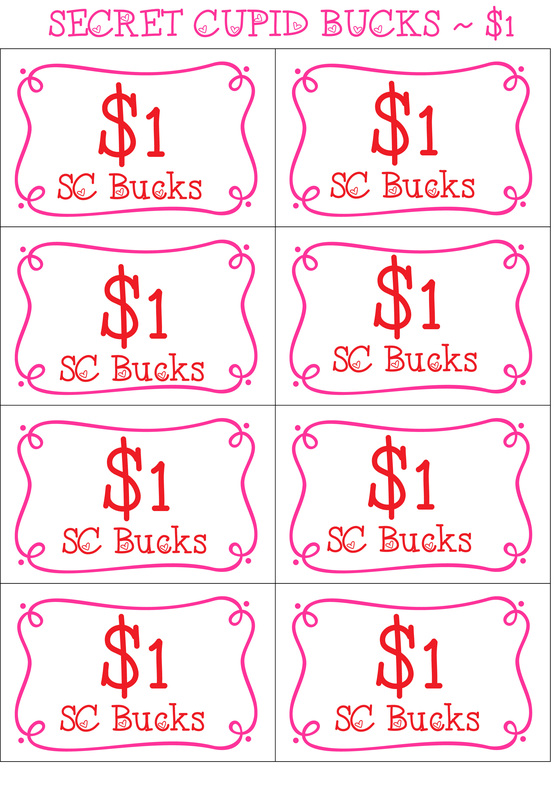 My mom always gave us “SC Bucks” and had each item labeled by “price” and we just picked and chose. 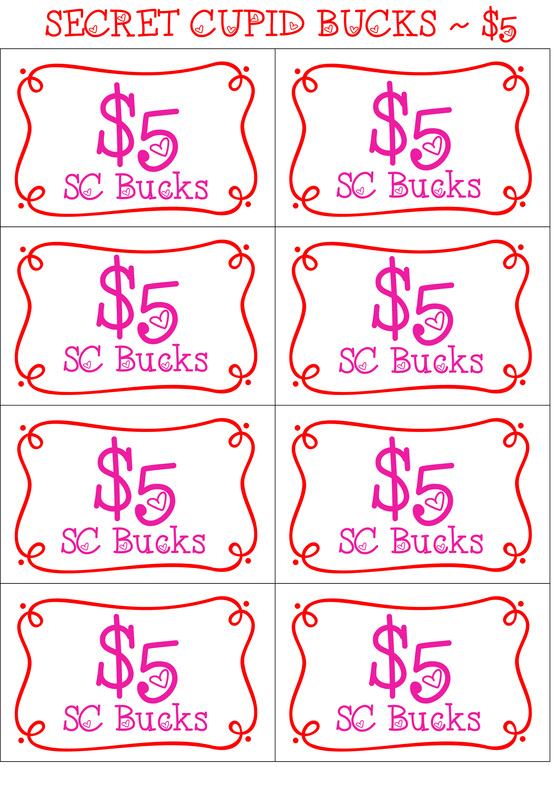 You can do it however you would like, but I do have a printable for $1 and $5 SC Bucks at the bottom of the post. Each person goes into the SC Store on their own and sneakily shops, unless of course the kids are super little and need a little bit of help. Can you feel the excitement? I can. 🙂 Love this boy! STOP GROWING UP SO FAST!!!!! Anyway…. At the end of the week (on Valentine’s Day) you get together for a fun family night and get to guess who your Secret Cupid was and reveal the truth. We always had a ball trying to be detectives and figure it out when we were growing up. 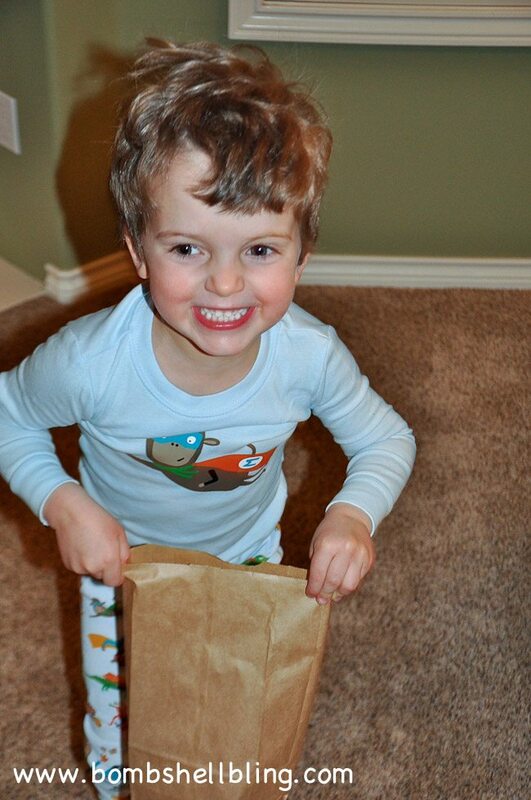 Obviously, last year it was super simple to figure out, but we pretended we were clueless for my super excited three-year-old’s sake. I just love little kids. The world is SO exciting in their eyes! That’s it, my friends. Secret Cupids. I just LOVE it. My sisters and I even did it before we had kids. We would just hit the dollar store with our husbands and a spending limit and each grab some little things to hide throughout the week for one another. One year in college I even did it for my boyfriend. Gee, that was a great mystery for him. Haha. It wasn’t, but it was really fun for him to find surprises every day and to know that I cared about him. This is a tradition that works for anyone that you love, regardless of your family setup! 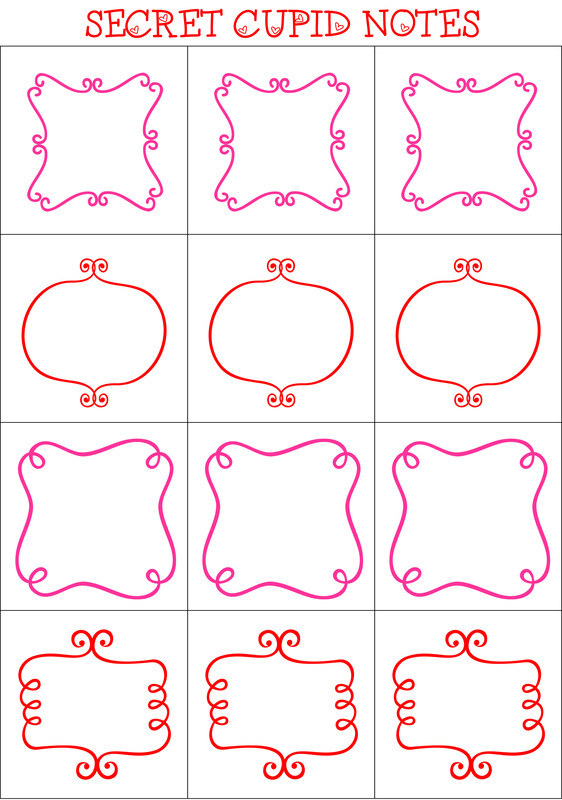 Now let’s take a look at those printables, shall we? Here are a few fun Valentine’s Day goodies that I spotted which would be great for your Secret Cupid store (affiliate links): Valentine’s Day pencils, Valentine’s Day stickers, chunky toddler/kid heart jewelry, and Valentine’s Day children’s books . UPDATED 2/9/16: Here are a few pictures from the day we made Secret Cupid bags and Valentines last year. I love doing this year after year and seeing my kiddos look forward to it as February approaches each year! Let me know if you try out my favorite family tradition! I would love to know that my mama’s genius lives on and is blessing other families! Have a lovely day! Great idea. What a face!!!! So cute. Love the ornament story, too. What a great mom you are. Thank you so much!! You are so kind! Sarah I love this idea. And it would be so fun to do it as a secret for other people too, kind of like a secret santa or 12 days of Christmas thing. And those SC bucks, awesome! How do the younger ones who dont write well keep their identity a secret? I love this idea! Totally could see doing this as a family or even at work! Something fun! I love this Sarah! Totally doing it this year! How fun! 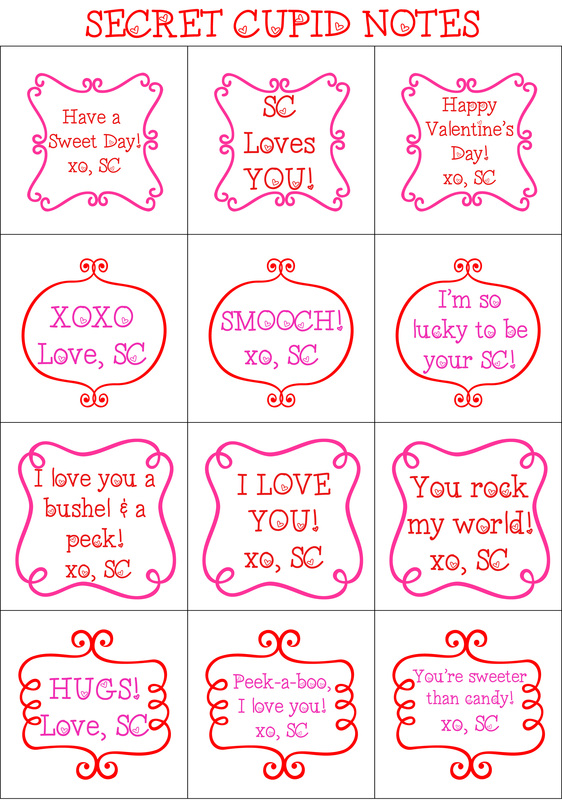 We don’t do much for Valentine’s Day at our house, but this is such a fun and cute way to get the whole family involved. Thank you! Your mom’s sweet idea lives on. My husband and I have 6 children and love being sneeky. 😉 We enjoy doing secret services for each other, so this will be fabulous. Have a wonderful valentine’s day, and thank you for letting us share your mom’s tradition. So glad I came across your blog through a Pinterest link. Am excited to adopt the Secret Cupid tradition with my boys. We tried this and loved it! I blogged about it: http://www.thehellodarlingshop.blogspot.com thank you so much for sharing it. Your moms genius lives on! Oh my heavens. So easy and fun. I would love to share this with my readers in a Valentine’s round up. Please let me know if that is a problem! What a great idea! 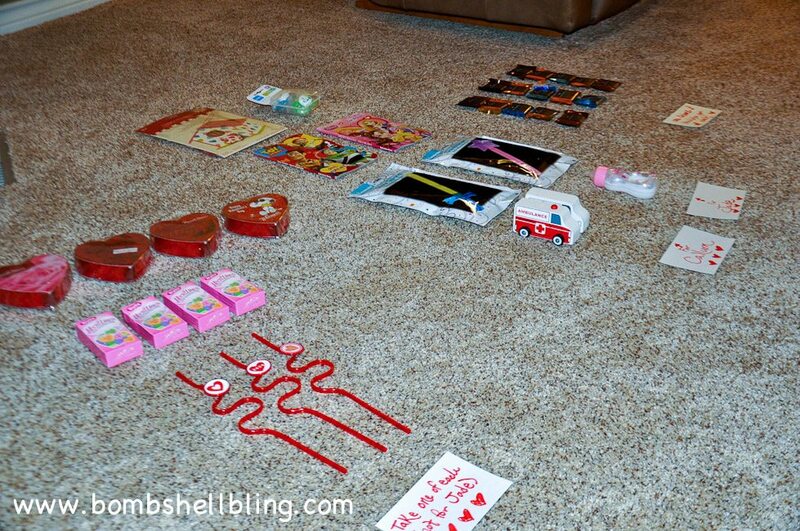 I’ve been looking for something fun and easy to implement this V-day with our kids. Thanks! Super Cute and this would be a great tradition to start! Thanks so much for linking it to us at Throwback Thursday; we’re looking forward to seeing what you’ll have for us next week and we’ll be pinning to our Throwback Thursday board, too! I love it! We have 2 grandkids living with us this year. That would be so fun to do! How precious! What a sweet little family tradition! This is so FUN!! 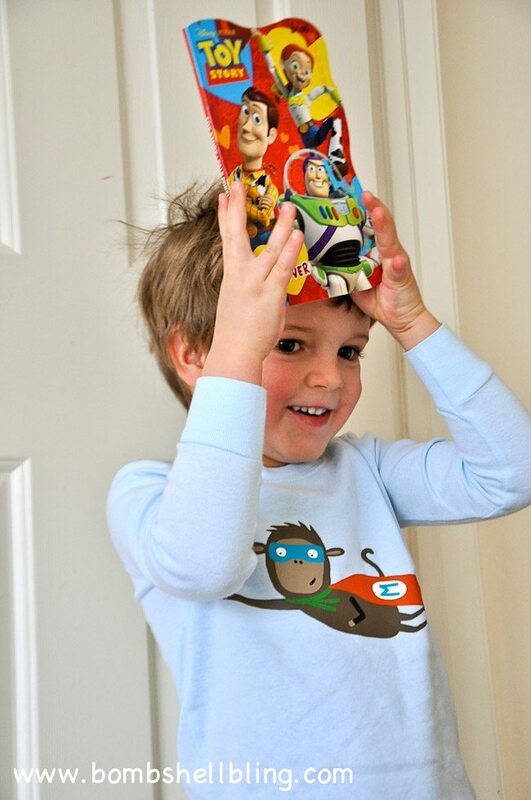 Thank you for linking up at OVER THE MOON Link Party. I am happy to tell you that you are one of my features on this week’s Party which will go live Sunday night at 5 central. Such a fun tradition! 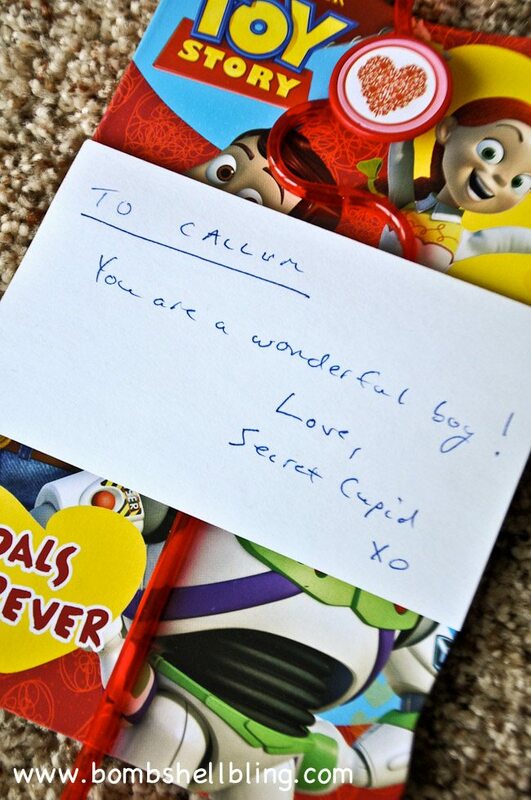 I would love a secret cupid. 🙂 I love Valentines Day as well, it might have something to do with the fact that one of my babes was born on Valentines. Thanks for sharing with SYC.